I first discovered The Redlands Palomino Company around half a dozen years ago when they played the delightfully named Marr’s Bar in Worcester. In the intervening years they have flickered on and off my horizon, mainly catching their live shows such as an appearance at Americana International and a gig at The Musician in Leicester. However in the summer of 2013 they came right back to my notice big time with two storming sets at Palmfest and Maverick. This personal momentum is now being carried forward by a new album release which has the potential to cement their reputation as one of the UK’s premier alt-country rock bands. A striking feature of seeing Redlands live was how they managed to come over as a good time jovial band and at the same time deliver some cracking tunes with pure energy. Amongst many references to beer and kebabs, songs likes ‘Doing It For The Country’, ‘Wasted On You’ and ‘She is Yours' soon became embedded live standards. The big change with this new release titled BROKEN CARELESSLY is that they now have a quality recording to match the passion of their live show and this may prove to be the catalyst to allow the band to develop in a more consistent upwards projection. This is not to deliberately show contempt to their three previous albums recorded sporadically over the last decade just that this one seems to really hone in on their ideals and match their talents. These ideals are to craft catchy songs, base them around pedal steel, drums and guitar with an inadvertent sound that could be lifted straight from the late 60’s/early 70’s pioneering west coast fusion of country and rock. BROKEN CARELESSLY has endless such examples starting with the excellent radio friendly ‘In These Lines’ and culminating in a near tearful finale ‘Band Song’ where the guys reflect sentimentally on why they bother. 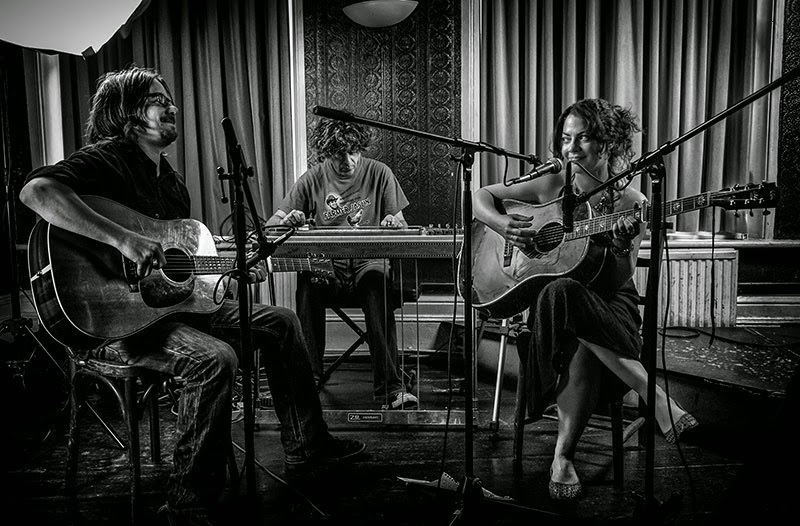 The answer to that question is that so many people care and the UK indie Americana scene is much richer for the creative presence of Hannah and Alex Eton-Wall. For this album recorded informally yet authentically in the confines of an isolated chapel, Alex took over production duties to mix with his guitar and vocal work while Hannah was the major song provider and possibly the more effective vocalist on the record. The pedal steel work of Dave Rothon laces the album with a sprinkling of atmospheric elegance and he also contributes one of his own song compositions in ‘She Can Live Without You’, a quintessential 60’s pop number showcasing Alex at his vocal best. The making of this record was the final act of drummer Dan Tilbury before his emigration to Denmark and Redlands regular bassist Rain resumed his usual role in the band’s engine room. The interchangeable lead vocals between Hannah and Alex keep the record fresh and its 53 minute length never drags with a constant stream of majestic ear pleasing tunes. The early part of the album peaks with the superb title track ‘Broken Carelessly’ ,a descriptive piece on the Palomino breed of horse. Hannah anchors the mid album with her beautiful vocals lowering the mood on ‘Scattered Earth’. ‘Perfect Forever’ and ‘Swim’ are both in a similar style giving the album a sense of sophisticated maturity, not a term you would normally associate with Redlands but hey, good things evolve. The delightful guest fiddle of Simon Kelly graces the jolly ditty ‘Floorboard George’ delivered by Alex in his usual style while ‘The Big Freeze’ is more traditional Redlands material especially when Hannah launches into its infectious chorus. 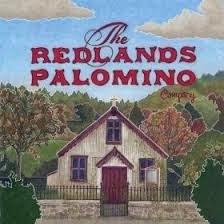 The Redlands Palomino Company may have had this record in the can for a while but there are going to be many grateful people now that they have successfully released it with the help of their ever impressive label Clubhouse Records. To support the record the band are hitting the road in May, no doubt with renewed vigour and plenty of references to beer and kebabs. Redlands Palomino Company fans wouldn’t want them any other way especially when they match such frivolity with an exceptional record. Broken Carefully gets formally released on April 14.